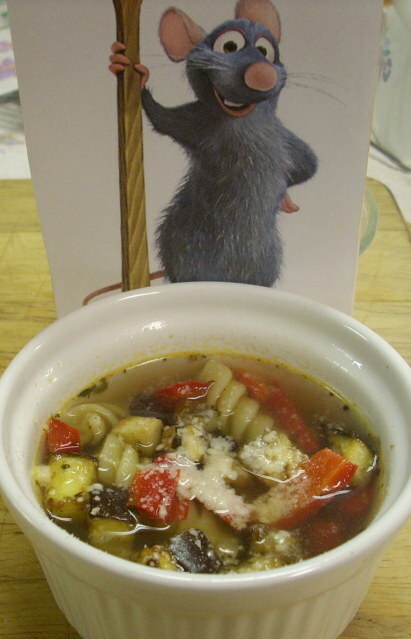 chicken parmesan and ratatouille soup! Tonight’s dinner was yet another staple – chicken paremesan. 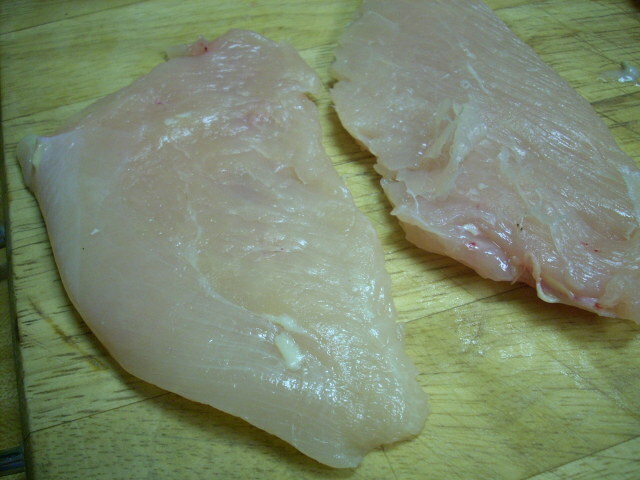 The trick for Hannah to eat it (she doesn’t like a whole lot of meat) is to give her the tenders off the chicken breasts and then pound them really thin! 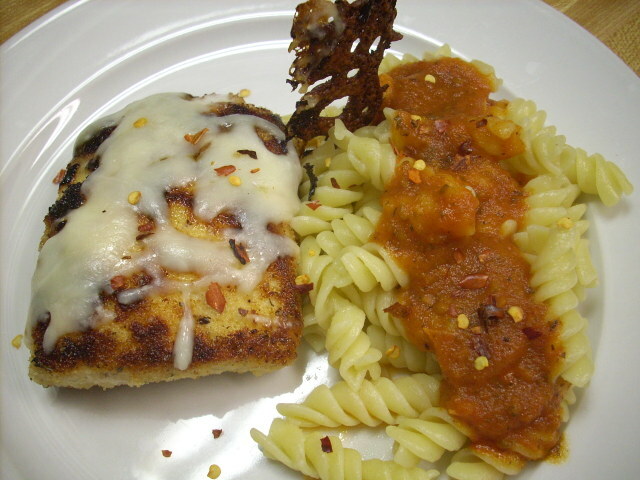 I just dredge the chicken in an egg/milk/salt/pepper mixture, then into mostly parmesan cheese and bread crumbs. Pan fry with 1 tablespoon butter, 1 teaspoon olive oil and good spray of Pam. 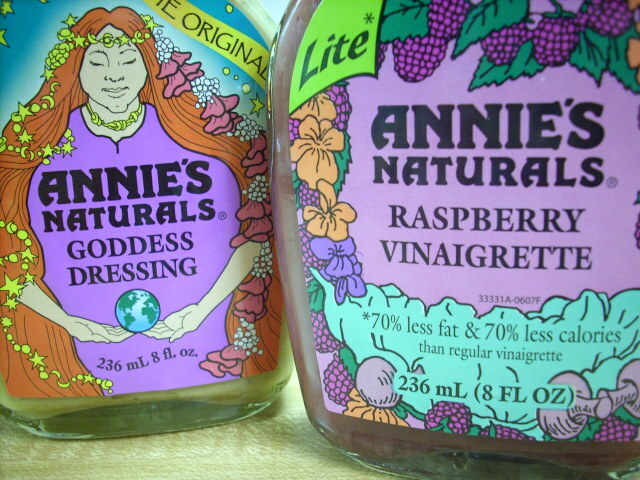 On the way home I picked up the Annie’s Organic Dressing for the winner of my November giveaway. Christina, they’ll be shipped tomorrow! I wasn’t able to find the pommegranate one, so I substituted it with a light raspberry vinegrette – hope that’s okay! Now onto the Blogger Secret Ingredient Recipe! Meghann from www.graduatemeghann.com selected eggplant this week. Nertz! I’ve never had eggplant, have actually bought it twice and let it rot before I decided to make anything with it. 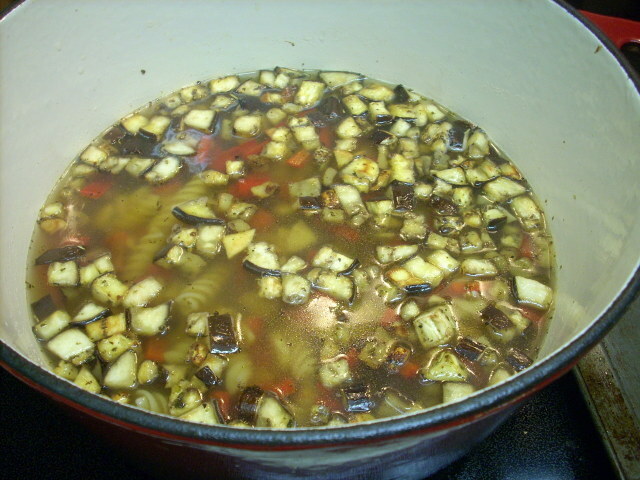 So I decided to make something where eggplant is not the star, per se, but definitely the key ingredient. 27 ounce can chicken broth (could easily be substituted with veggie broth for the vegetarians out there – namely: VeggieGirl! 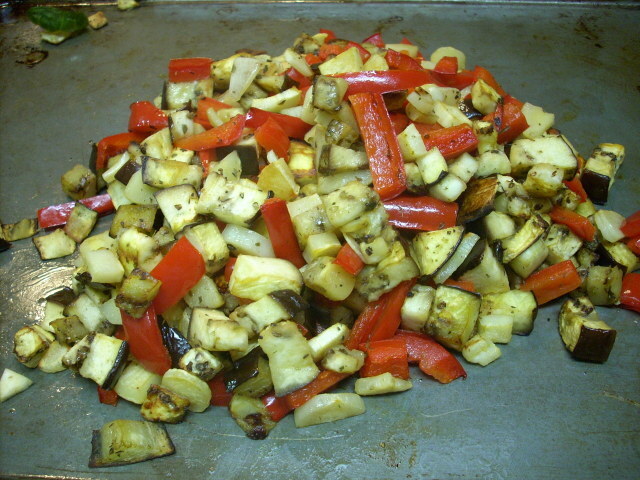 In a large, shallow roasting pan combine the eggplant, parsnip, pepper and garlic. 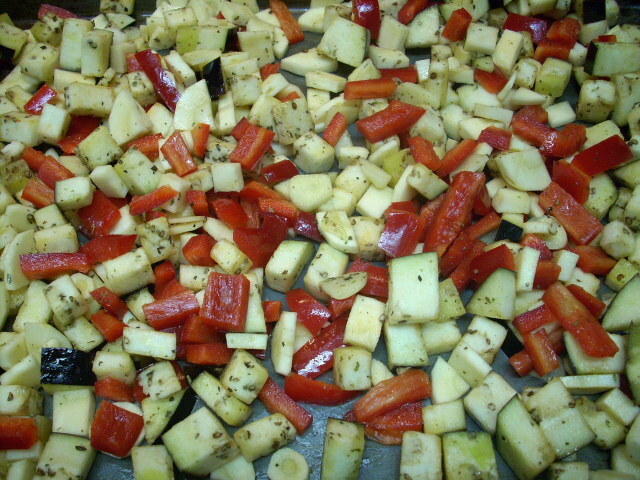 In a small bowl, combine the olive oil, Italian seasoning, salt and pepper to taste. Drizzle over veggies and toss to coat. Bake in a 425 degree oven for about 20 minutes, or until vegetables are tender, stirring once. In a stock pot (yet another excuse to use my new pot!) bring chicken broth and three cups water to a boil. 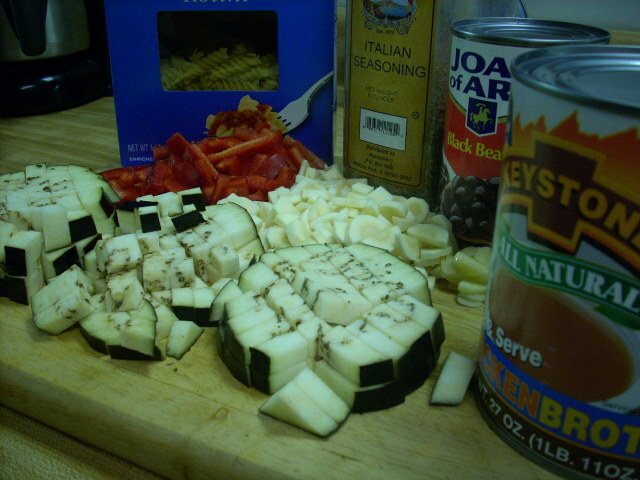 Add pasta, and cook about 12 minutes, or until tender. Reduce heat, stir in the beans, and roasted vegetables and heat through. Sprinkle parmesan cheese on top of each bowl. Makes six 1.5 cup servings at approximately 186 calories, 4 fat, 7 fiber, 32 carbs and 8 protein. 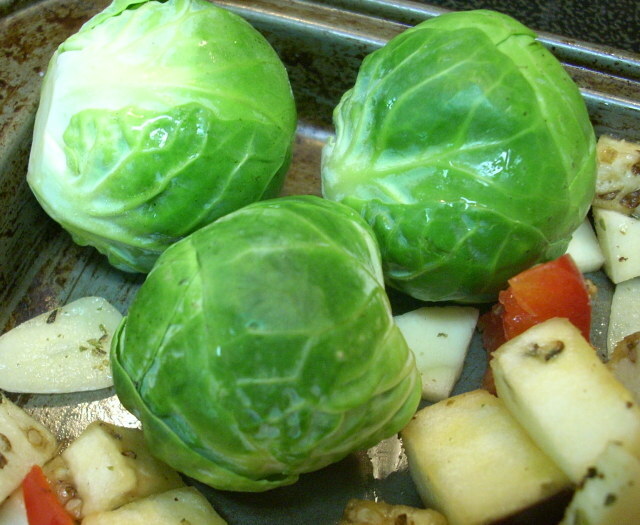 as a side note, I bought three brussel sprouts and threw them on the tray to roast - I actually liked them! after 20 minutes of roasting - the garlic was really strong! I brought some to Tony to try and he said “I’m not eating that sh*t!” Apparently he doesn’t like eggplant OR parsnips! That’s okay, I am taking it to work tomorrow anyway! I think Remy would like it though! Hope everyone had a good day – I think our good weather is only going to hold out one more day!